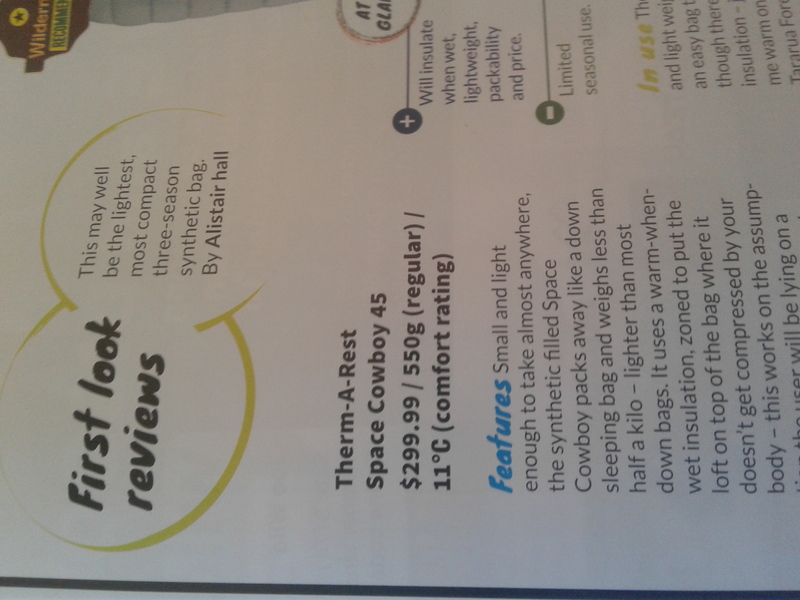 I read a review for Therm-A-Rest Space Cowboy 45 $299 recently in the Wilderness Magazine and thought it would be ideal for the very same purpose that you outlined. burtonator and ebf like this. I've got one of these for light summer trips - 530g, packs down smaller than a down jacket, does the job ok and good value. Have you seen Phil before? gadgetman and csmiffy like this. I have a MacPac escapade also. In winter I can use it as a liner for my Sea to Summit MCIII. I have been looking at a Sea to Summit Micro 3 how do you find it. What temps/conditions is it still comfortable. Looking at one to use instead of my Fairydown Lightweight. Can it handle spring/autumn frosts -5c for example. I rate my moontbell too. Mine might be a #3. Maybe rated to 0 degrees from memory. Go through the Japan website if you decide to get one. Look like it will be the Macpac Escapade Down 150 - Boxing Day Sale weight 500 grams I'm such a warm blooded individual and generate so much heat when I'm sleeping I quickly turn sleep into a sauna session. All times are GMT +13. The time now is 06:49 PM.